IMU CET 2019 mentioned to the Indian Maritime University Common Entrance Test which is all India level examination. It is conducted by IMU (Indian Maritime University) for various Under Graduate and Post Graduate courses in the field of Marine Engineering. 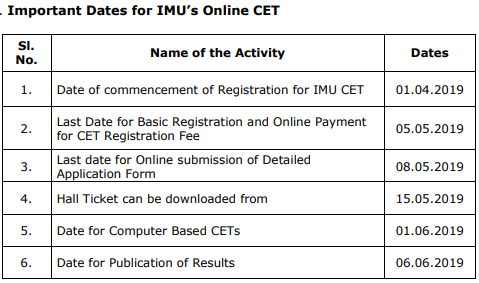 Latest Update: IMU CET 2019 Registration will start from 1st April!! Check the complete schedule in the Table Below. Latest Update: IMU CET 2019 Official Brouchere Released!! It is the only university to offer the marine engineering courses in India in Government Sector. The Degrees which are awarded by IMU are B.Tech, M.Tech, BSc, MSc, BBA, MBA, etc. at the IMU Campuses and affiliated Colleges. This university has six campuses all over India namely: Mumbai, Vishakhapatnam, Cochin, Chennai, Kandla Port and Kolkata. Kindly go through the complete article to get detailed information about IMU CET Application Form and other events. The authority of IMU sets some criteria for admission in various UG & PG courses available in six campuses of University. 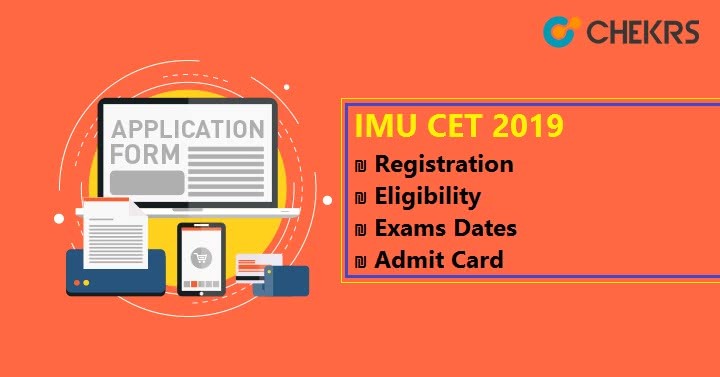 Applicant must follow the IMU CET Eligibility Criteria 2019 before appearing for the exam. Minimum age limit should be 17 years & maximum will be 25 years as on 17 July 2019. For SC/ST category there will be an easing of % years. B-Tech/BSc(Marine Engineering, Naval Architecture, Ocean engineering, nautical Science) 10+2 with minimum passing marks 60% in PCM and 50% marks in English in 10th/12th. DNS program leading to BSc (Nautical Science) 10+2 with PCM 60% marks. Naval Architecture and Ocean engineering) Passed Marine engineering/Mechanical/Civil Engineering (for Naval Architecture) with minimum 60% aggregate in Bachelors. Applicant must be physically fit with medical requirements specified by DSG guidelines. The Applicant must have a good Binocular vision with both eye 6/6 visions. IMU CET Application form will commence from the first week of April and will last up to May. 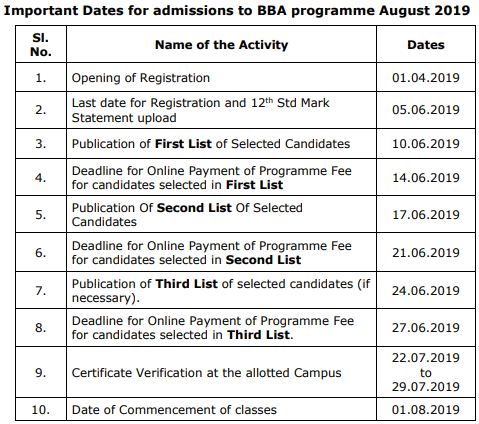 For BBA, the last date of submission of form will be June. It will be filled up through online mode only. Application Fees can be paid by both online mode (Net banking/Credit Card or Debit Card) and offline Mode through Bank Challan. Applicant should visit the website of IMU i.e. imu.edu.in. Go to the link given in announcement section ‘Online CET 2018 for UG/PG programmes & click on it. It will redirect to next page. Click on the given link “CLICK here”. Again redirect to next page. Register on the site as a new user. Remember your login details and log in again. Once you register, start filling the application form with personal detail, education qualification, upload your scanned mark sheet, upload your recent passport size photo, signature, etc. Once you complete this got the fee option. Choose the mode online or offline. Pay the fees online or choose option Bank Challan. After this just cross verify the details carefully before submitting the form. Once you submit the form, don’t forget to take out the print of the IMU Application Form and fee receipt in case of the online payment or take print of bank Challan in case of offline payment mode. The Exam Pattern will be decided by the authority of IMU. The exam pattern will help the student to know the level of the question, time duration, marking schemas, exam mode etc. Applicants should check IMU CET Exam Pattern before appearing for the exam. Marking Scheme 1 Mark for Each Question. 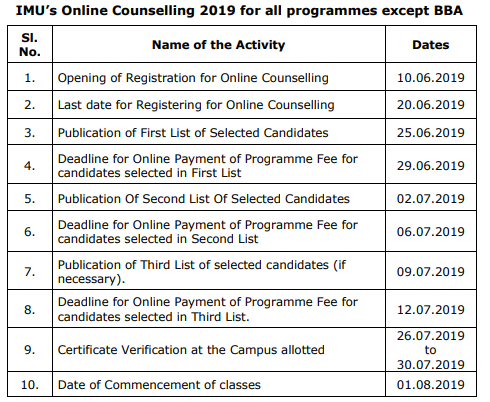 IMU CET 2019 Syllabus will vary according to the various courses offered by the University. Here we are providing the syllabus of IMU exam according to the different course. English, General Aptitude, Physics, Chemistry, and Mathematics. MBA/ MSc–Quantitative Ability, Data Interpretation, Verbal Ability & Logical Reasoning. M.Tech- English, Mathematics and one of Mechanical Engineering/Naval Architecture/Marine Engineering/ Civil Engineering. The next thing is to know how much you before the exam. Once you start solving IMU CET Sample Papers it will give you the idea of what topics you are good at and bad at. So that you can give more time on weak topics to make them strong before the exams. It will help you to give to cover the topics which are not given in the book. After that, you can slowly shift to online Mock test which gives you the idea where you stand. As practice makes a man perfect, the IMT CET Online Mock Test will give you a good practice before the final exam. Once you fill the form, start making the strategy for the covering the entire syllabus as without covering the whole syllabus you can’t score well. Time Management is very important so don’t waste time in Unnecessary things. Divide the syllabus into the hard and easy topics. Give the appropriate time to the topics like hard will need more and easy will need less time. Speed and accuracy will always help you to score extra marks. Make your own notes. Follow Indian Maritime University Common Entrance Test Preparation Tips. Do not give up your eating habits for the exam, it will degrade your performance keep yourself healthy and drink lots of water. You can download the Admit Card from the website of the IMU i.e. www.imu.edu.in. IMU CET Hall Ticket is already available from 16th May. After downloading it, Take a print out and Read the Instruction and follow them during the exam. Candidates are advised to keep the admit card very carefully because they will need it in the counselling procedure. The IMU Common Entrance Exam Result will be available in June on the official website of IMU i.e. www.imu.edu.in. On the basis of CET score, candidates will be selected for further admission procedure. Candidates can check IMU CET Result through online mode and authority will also notify candidates through E-Mail and SMS. The Answer Key will be available on the internet with the week after the exam is done. The IMU CET Rank List will be available after the result just before the counseling. Candidates will be informed by the notification, Email or SMS. The rank in the list will be the key factor in seat Allotment. The counselling will be conducted after the release of Rank List. The shortlisted candidates will have to pay Rs. 10000/- Before filling the IMU CET Choice Filling form. The counselling in this exam is an online procedure. After the choice filling, the seat will be allotted to all the eligible candidates. Candidates have to check there IMU Seat allotment Result, If the seat is allotted to them they have to pay Non-refundable Rs. 25000/- as programme fee. After it, they have to report to the allotted college/ institute for the further admission procedure.